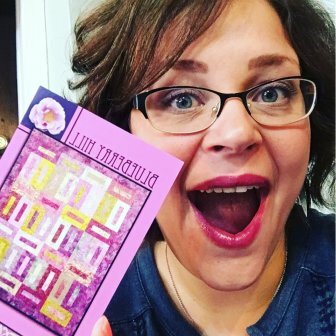 Sew Blessed - Upcoming Classes! I just wanted to drop you all a little note and let you know about our upcoming classes in July! Both classes are perfect for completing a fun summer project during the class session! 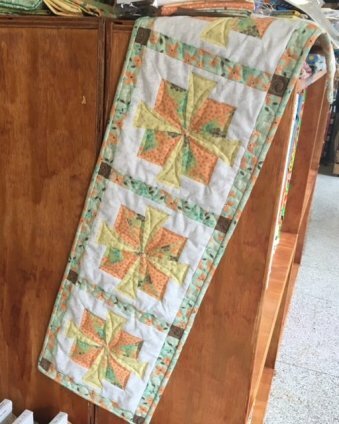 Our first class will be an evening class on how to make the darling Blooming Sunset Tablerunner! You will also need the Starburst 30 degree ruler. Kits will be available in store after the class for those of you who love it but can't join us for class. We will be hosting a summer Pamper & Press class on Saturday July 30th! 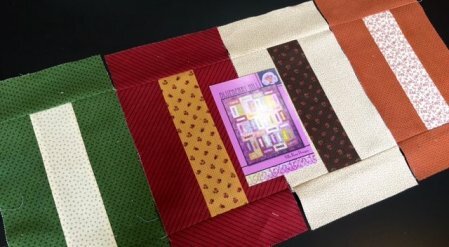 This is a fun project that you will have finished before you leave! If you haven't attended one of our Pamper & Press classes here is some quick info - your entire kit will be pre-cut for you before class & we will press your blocks for you as you go! This is also a great project for beginners or young sewers!